Radio Sai special series Sai Stree Shakti chronicles the forces of nature that incarnated as women of spiritual substance to serve as the chosen instruments of the Avatar, contributing significantly to the Sai Mission. Bhagawan not only hailed their sterling virtues but also shaped them to be exemplars of duty, devotion, dedication and determination. To mark the auspicious 90th year of the divine Advent, we salute these dynamic and divine Sai women whose contribution to the Sai mission has been strong and steady and largely silent. 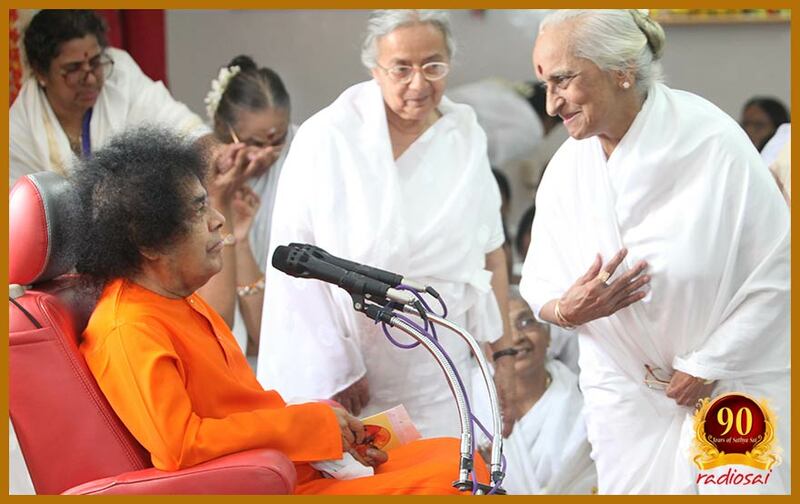 Starting March 19, 2015, every month till November 19, 2015, Radio Sai is celebrating Ladies Day by highlighting the life and dedication of such individuals who will go down in history as the able and capable contemporaries of the Sri Sathya Sai Avatar. Their incarnation appears to be a significant part of Bhagawan's master plan. On July 19, 2015 Radio Sai is pleased to profile Dr. Hema Gopinathan, the Deputy Medical Superintendent of the Sri Sathya Sai General Hospital, Prasanthi Nilayam. A medical graduate of the Lady Hardinge Medical College, New Delhi, India, class of 1961, Dr. Hema Gopinathan continued her stellar academic career in the West, with residency in two specialisations – internal medicine and cardiology from Cleveland, Ohio, USA. She then built a flourishing practice in Windsor, Ontario, Canada. Yet, along with her husband, the late Dr. Y. Gopinathan, she was always clear that her life's goal was to utilise her skill-set to serve the poor in rural India. She had this clarity of purpose even when both she and her husband were at the top of their game, finally enjoying professional success after years of hard work and study. The dream to return to their roots and give back was not a post-retirement feel-good activity that the Gopinathans had planned. This inner calling was further strengthened once they came into the fold of Bhagawan Sri Sathya Sai Baba in 1976. Today, Dr. Hema Gopinathan lives her dream. At 76, she continues to serve hundreds of patients every week at Bhagawan's General Hospital in Prasanthi Nilayam and in doing so, she brings the 3 'P's to her practice of medicine, namely professionalism, punctuality and patience. By her very example she sets the bar for others to emulate in delivering Sai patient care, which can be defined as the highest possible professionalism combined with compassion, selfless love and concern for the whole patient. As much as she seems to have landed here by accident, in hindsight, a string of apparent miss-steps, compromises and lost opportunities appear as a beautiful pattern, willed by the Lord to melt, shape, carve and polish His chosen instrument, to become a Sai doctor whose work is her worship and her patients, her God incarnates. Raised in a conservative South Indian family in New Delhi, the academically bright teenager Hema wanted to study Mathematics at college. However being under age for college, she enrolled in pre-medical studies for want of an option. Again her father’s only choice for her was to attend an all-girls post secondary institution and she ended up at the Lady Harding Medical College in New Delhi. Her preference was to live in India but destiny sent her to the West right after her father arranged her marriage to Dr. Y. Gopinathan, a fellow doctor, three years her senior. She preferred to be a homemaker with a non-clinical specialty but her husband encouraged her to pursue not one but two specialisations (Cardiology and Internal Medicine) from Case Western Reserve Hospital in Cleveland Ohio, USA. She wanted to spend time with her children while they were little but her professional pressures compelled her to send them to India to be with their grandparents for the first few years of their lives. After a loving and timely command from her personal God, Bhagawan Sri Sathya Sai Baba, she relocated to India with the intention of serving the Sai Healthcare system but she had one more duty to fulfil enroute which landed her in a rural hospital in Pattamadai, Tamil Nadu. Today, she sees a perfect path that destiny had laid out for her to follow as it finally brought her where she belongs, where her heart is at home, nourished with a sense of self-satisfaction. While Dr. Hema Gopinathan will turn 77 in November 2015, the question of retirement does not arise, for she has patients to see, lives to save and miles to walk, her health permitting. Today, her life, her knowledge of medicine, vast clinical experience... all belong to her Master, her Sadguru Sai and as long as her mind and body cooperate, she intends to utilise every breath of hers in His service, offering it all at His lotus feet, with love and deep gratitude. Her typical day begins nice and early when she drives her stick shift hatchback car to the nearby Sri Sathya Sai General Hospital from her apartment in the ashram. Her schedule may seem well-oiled now, but it wasn't always so easy. 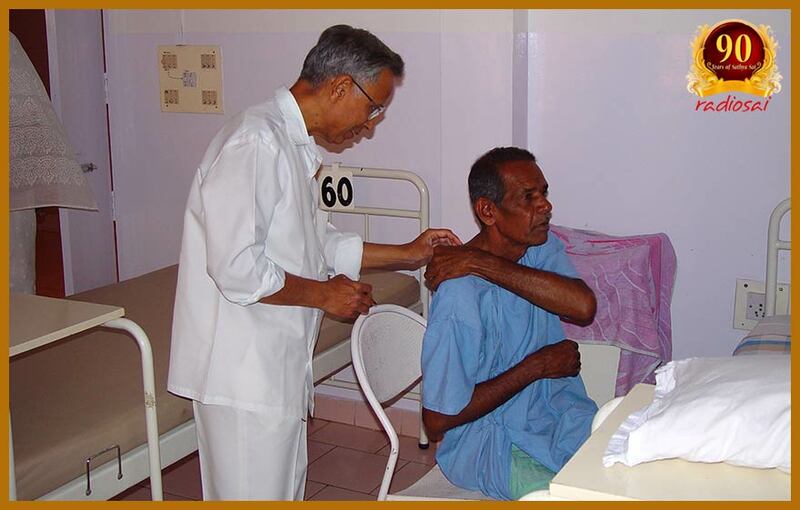 When Dr. Hema Gopinathan and her husband returned to India in the year 1989, they were 51 and 54 years of age respectively and were eager to serve at the Sri Sathya Sai General Hospital in Prasanthi Nilayam. Instead, they found themselves heading a small and just set-up hospital in Pattamadai, in rural Tamil Nadu. She had to hit the ground running. The early years of transition from a Western system of medical practice to a rural setting in a developing country was a whole new ball game that she had to learn. One of the many challenges was to arrive at differential diagnosis without the requisite laboratory and diagnostic tests. What further confounded the situation was the lack of literacy and healthcare awareness among patient communities at Pattamadai, where poverty was so very oppressive that simple healthy food choices were beyond the means of her patients. Vitamins had to be a part of every prescription. At Pattamadai, Dr. Hema Gopinathan and her husband Dr. Y. Gopinathan were the only resident doctors available 24/7. They lived within the hospital premises and attended all night calls. Six months after their arrival, an inpatient facility was started. Thus they had to oversee the equipping of the operation theatre, wards and pharmacy. Ordering and maintaining stock records were all part of their duties. They were learning a whole new way of medical practice and management. Patients needing surgery used to be evaluated and scheduled on Sundays—the only time the medical college anaesthetist would be available. Oxygen cylinders had to be obtained from a distance of 20 kilometres. Power cuts were frequent in Pattamadai and challenged the adaptability of this Western trained medical couple. A prevalent health risk in the Pattamadai community was Tuberculosis (TB). Since an X-ray machine was available, patients were diagnosed and treated promptly. Dr. Hema also provided the supportive care for the associated problems, which resulted in compliance for return visits, a move that was commended by TB headquarters. Whenever needed, Dr. Hema slept in the hospital to clinically monitor difficult cases. With TB so rampant, a herculean task before the doctor was to educate patients to stop spitting. Ever eager to adapt according to the needs of her patients, while at Pattamadai, Dr. Hema underwent a one month training in ultrasound in Chennai. 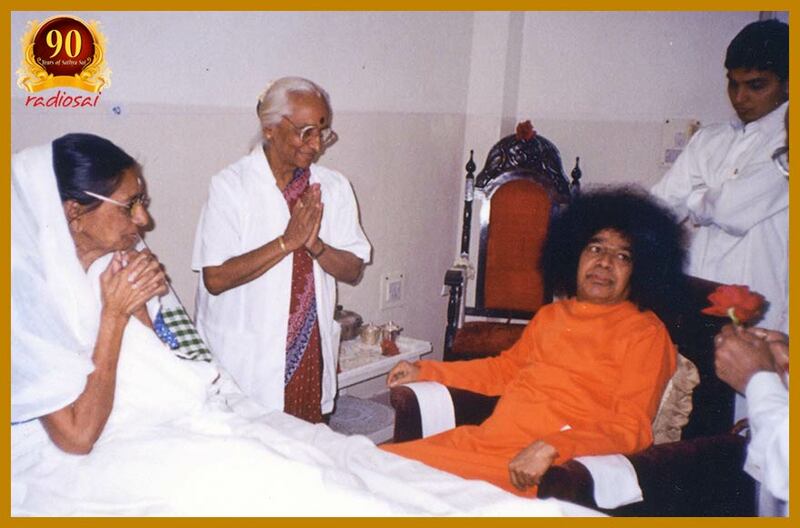 Having passed a rigorous test of faith to love His uncertainty, to obey His will, to adapt according to the situation and be patient, Dr. Hema and Dr. Gopinathan finally joined the Sri Sathya Sai General Hospital, Prasanthi Nilayam on September 1, 1998. Today, her typical work day at the General Hospital begins at 8.30 AM, where till February 2015, she served as the Head of the Department of Medicine and a Consultant for the Junior Medical Officers for in-patient and OPD (Outdoor Patient Department). Till recently, her duties included maintaining a healthy inventory of doctors and medicines. Ensuring that the hospital is well covered by doctors at all times often posed a challenge in the summer months. She also oversaw the central pharmacy and availability of important drugs like anti snake venom or high spectrum antibiotics. The monthly quota of meetings and interviews for hiring staff have also been a part of her routine schedule. If Dr. Hema Gopinathan is 3T certified today, that is tried, tested and true, it is because of the many levels of hurdles she has cleared. In the year 1998 when the couple moved to Swami's General Hospital in Prasanthi Nilayam, it was a fairly small facility then. The Obstetrics and Gynaecology department were quite active and the medical department evaluated cardiac patients and readied them for surgeries at the Sri Sathya Sai Institute of Higher Medical Sciences in the nearby Prasanthigram. Primary general medical patients were few back then. Given her background and training, Dr. Hema introduced the system of maintaining patient records with clinical findings, diagnoses, treatment plan and justification and follow up details. As a mentor, she encouraged a culture where junior medical officers had the freedom to question, clarify and justify all medical decisions. This boosted their clinical confidence, independence as well as their sense of responsibility as medical professionals. One of her most cherished experiences of working as His doctor in His hospital was the confidence of knowing that she was but an instrument, working under the direct supervision of the Supreme Doctor. Earlier on in her career, she had experienced Swami’s omnipresence and divine hand in her work but now He would often give direct instructions to the Obstetricians on when to operate and when to wait. 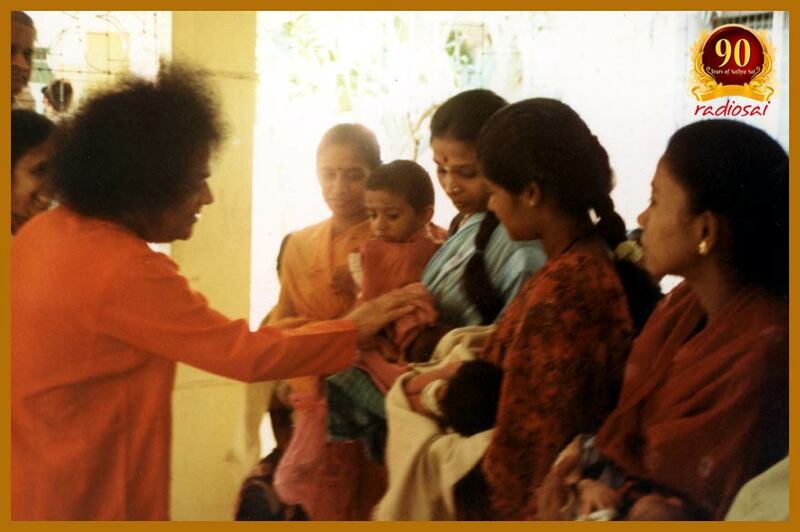 Once, when malaria was rampant in Puttaparthi, Swami sent word for all the doctors to take a certain injection for prophylaxis against malaria. Everyone complied except for two doctors and sadly they both came down with malaria. Through the daily decision making, the omnipresent Lord was ever available to guide her internally, but in difficult cases she would send a message to Swami through the late Dr. Alreja and Swami would send vibhuti with specific instructions on what to do and what not to do. This proved so reassuring for her that the anxiety and fear of outcome would simply disappear. The Supreme Teacher often taught her valuable lessons through His silence and subtleties. Swami made her realize that a doctor was not to be at darshan during hospital hours for she must live His call that work is indeed worship and duty is God. The concept of being off duty did not exist in Swami’s vocabulary. She learned early that doctor's commitment cannot be defined by hours of duty but by complete commitment to the patients' well-being and complete care. Under His watchful training, Dr. Hema had to unlearn a few of her Western medical habits, for Bhagawan did not approve of the idea of burdening patients with details of a bad prognosis. To understate the situation and be reassuring at all times, was a difficult lesson for her to learn. She had the good fortune of caring for some special patients for whose sake Swami would visit the hospital and she would have the much coveted chance of being in His presence while He checked on the patient. Even as the hospital got a whiff of a possible visit by the Doctor of Doctors, the joyful anticipation overtook the patients and staff equally. Some patient cases remain etched in her memory. Dr. Hema recalls a patient who was admitted with typical history of chest pain, and the classical distressed look with pallor. ECG and laboratory tests confirmed the diagnosis of a cardiac complication. 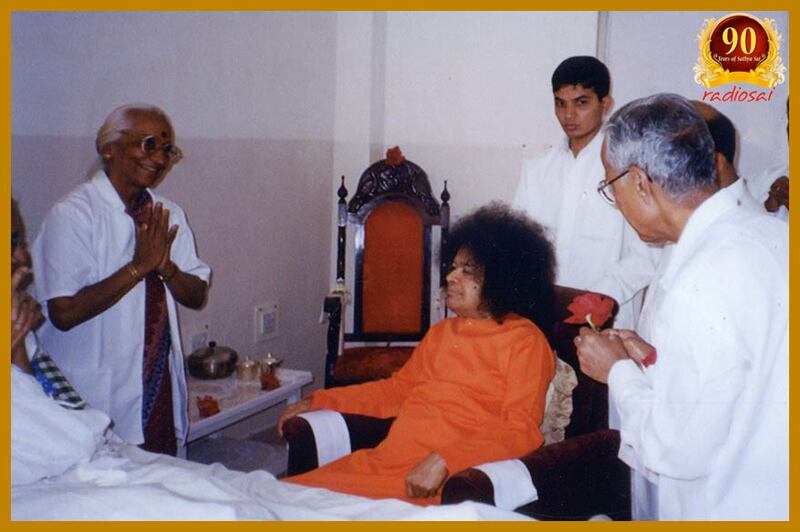 Swami visited the patient in the hospital and reassured that it was not the heart at all. The patient, from there onwards, was unable to tolerate almost all the cardiac medicines, overcame all the activity restrictions, and never had any setback. What He said was the only diagnosis that proved right, even if it challenged medical reasoning. There was another 4 year old child who developed small bowel obstruction after an Inguina hernia repair. This was not responding to aggressive conservative management. The child was too sick for abdominal exploration. Swami suggested insertion of a rectal tube. This normally should not work for small bowel obstruction. But lo and behold! the child improved from then on and was discharged. 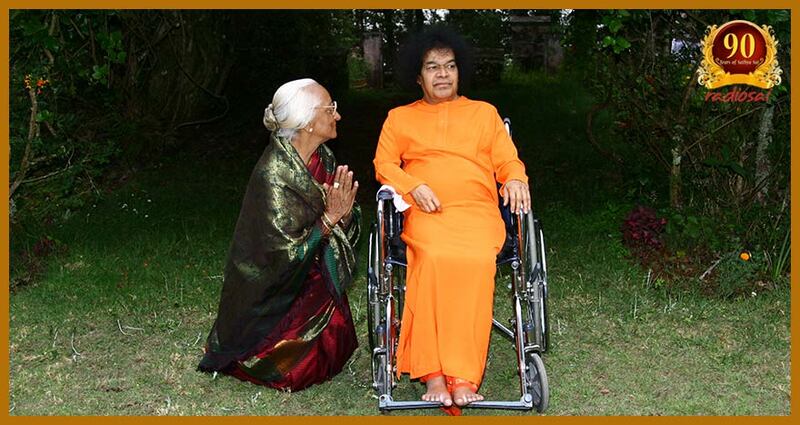 An elegant long time devotee of Swami, whom Swami had taken to Kodai in 2003 was admitted with a massive stroke. CT scan showed a large parieto occipital infarct. One would hardly expect any decent degree of recovery in such a patient. With Swami’s regular enquiry and a visit to the hospital for her sake, she was discharged with just a little slowness in thought process and general weakness. Dr. Hema learned not only to trust His medical judgement but also medical etiquette. Swami expected follow-up reports by doctors and this necessitated frequent home visits by Dr. Hema to many patients in the ashram. Once a patient with severe arthritis was deteriorating progressively. The compassionate Lord sent word to the hospital to admit her. Not much could be offered for her illness but Bhagawan's wish was Dr. Hema's command and was promptly complied with. 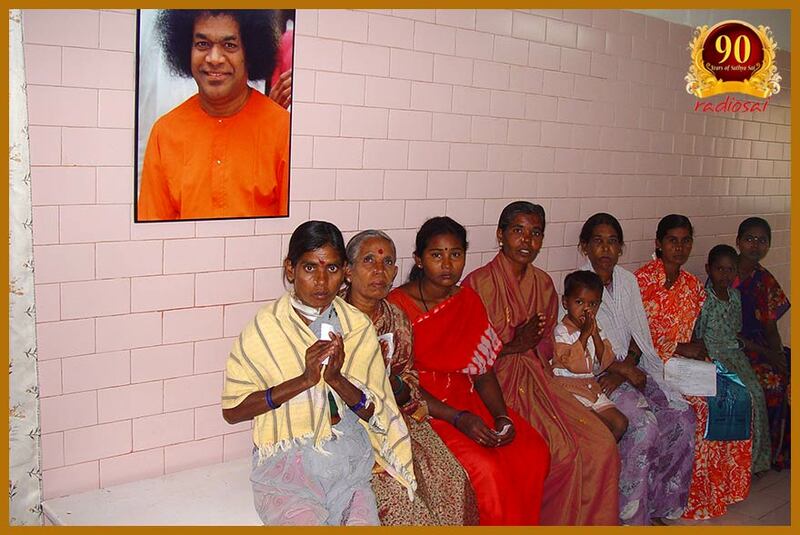 Bhagawan visited the hospital to bless this patient in her transition. The honour of witnessing such acts of divine grace and unbounded love of the Avatar for His devotees was a privilege she cherishes as her life's paramount blessing. Working in His divine hospital proved to be the fulfilment of her life's dream, and the Gopinathans offered their services as a labour of love. Their self-satisfaction was the best form of compensation they aspired for, but the Divine Lord had many other blessings lined up for them. Dr. Hema was selected by Bhagawan not once but thrice, in 2003, 2004 and 2006 to accompany His entourage to Kodaikanal, a hill station in the Nilgiri mountains of Tamil Nadu, for summer holidays. Having her name check marked personally by Bhagawan to be on that trip was blessing enough for her. In Kodai, Swami would focus most of His attention on accompanying students and devotees. But for Dr. Hema, being a witness to the experience added to the joy of being in His divine presence, eating meals with Him and being seated in special places during darshan. Each trip put her in a heavenly space, thrilling beyond her wildest expectations. 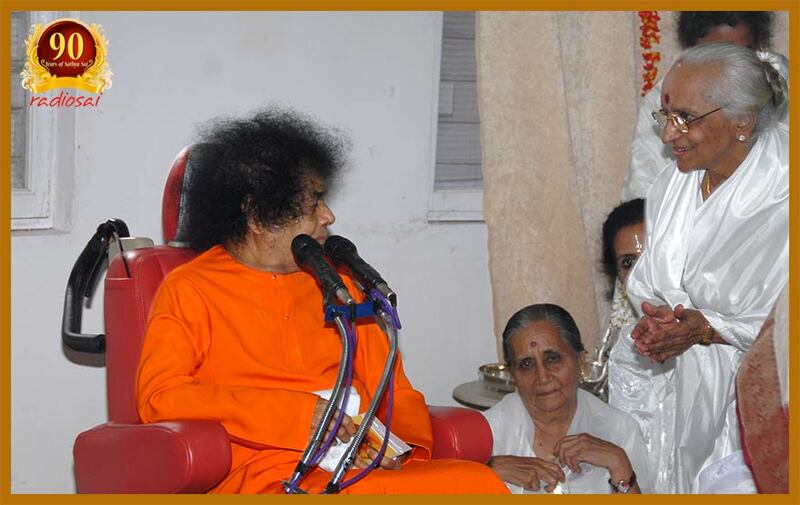 There in Kodai, whenever Swami was invited by devotees to their homes, Swami’s guests would also be included. This offered another opportunity to be in His prolonged company, and to witness Swami’s interactions with His hosts, which offered many lessons to emulate. On the onward and return plane trips, Swami would walk up and down the aisle of the plane, chit-chatting with His children like their friend. The unbelievable physical access to Bhagawan in a loving, family environment left Dr. Hema's cup overflowing with ecstasy and her spiritual battery recharged. 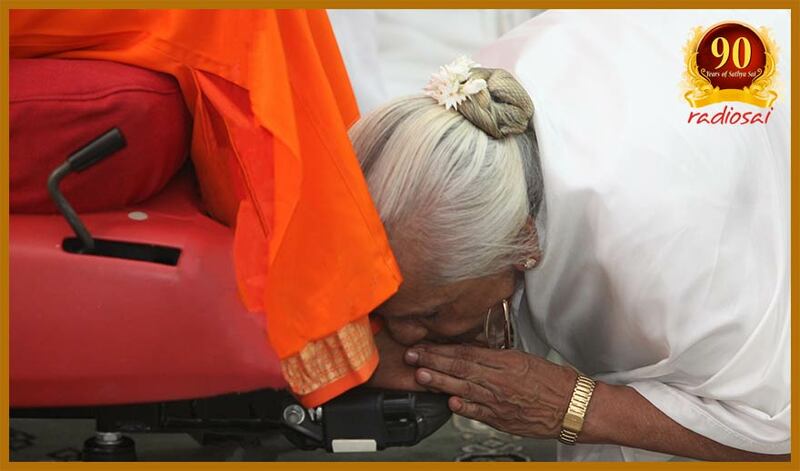 Her dream of dedicating her life, her knowledge and skills at her Sadguru's feet would not have been possible if her husband late Dr. Y. Gopinathan did not share her aspirations and priorities. This unity of devotion, vision and simplicity that the couple shared was best confirmed when Bhagawan blessed them to renew their marriage vows in His divine presence. On February 9, 2005, as part of Bhagavan's 80th birthday year celebrations, the meticulously planned Bheemaratha Shanthi celebrations came an unexpected bonus for the Gopinathan couple. 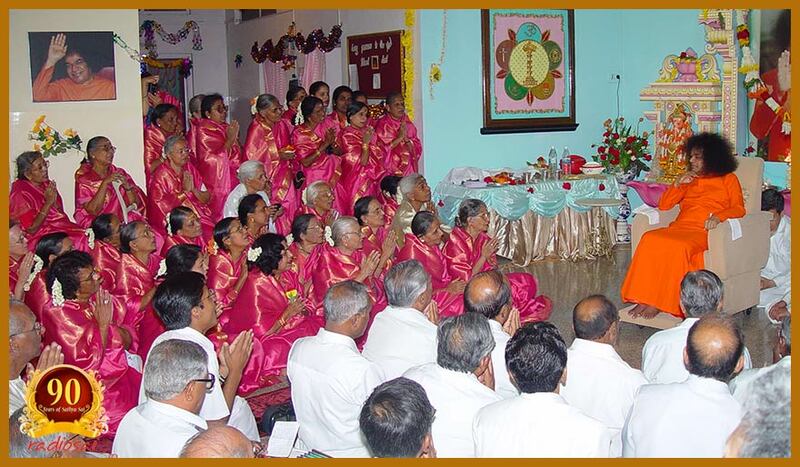 Bhagawan performed the spiritual marriages of select elderly couples. As per tradition, to qualify for it the husband had to be 70. Such couples or their children could apply to be considered. Dr Gopinathan was not 70 yet but just a few weeks before the event he was informed that according to the Indian calendar he was eligible. 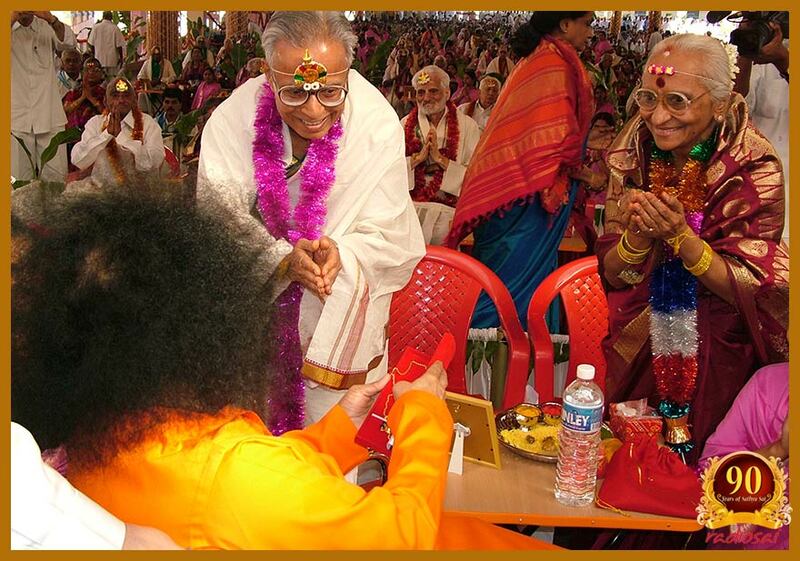 Photographs of the couple were taken for the event, with instructions for receiving Swami’s gifts for the occasion. The walk from Pata mandir to the Sai Kulwant hall in the procession was an unbelievable experience for them. The ultimate highlight was when Swami came to each couple and blessed them with a mangal sutra (the necklace that symbolises the sacred union of a couple). Be it at work or in her personal life, today, Dr. Hema draws her inspiration and guidance from the many wonderful memories she has of being in the divine proximity of divinity incarnate, Bhagawan Sri Sathya Sai Baba. Living her life as His instrument fills her with purpose and joy. To live out His teachings in her daily chores is her only goal. All else is secondary. She is happy to be home, doing what she loves best, dedicating it all at His lotus feet with deep love and much gratitude.